And by landmines, I mean turds. Speaking of turds, I’d like to wish a very Happy Birthday to Dave. Be sure to wish him one as well. 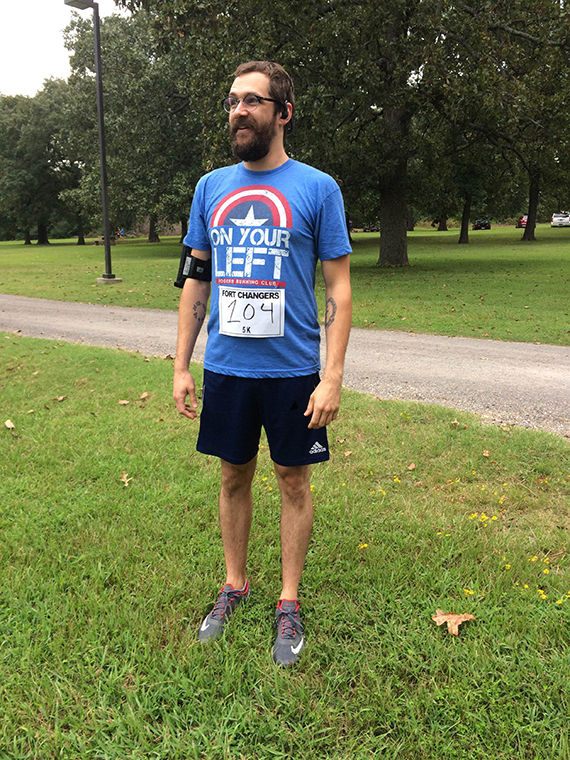 So, I ran my first 5k this morning. The exercising dork in its natural environment. It was fundraiser for our local Humane Society. I did my part to feed the critters. It rained on us. Of course it did. Miss Betty and I were joined by a young lady, whose name I failed to learn, and we all kept pace for each other. I ran the whole thing. Didn’t stop to walk once. We finished in a hair over 31 minutes, so around a ten minute mile on average. Not bad given that I have only run a handful of times in the past year. None of which has been for distance. All sprints and intervals. I am very pleased with myself. I can’t express my gratitude to M.B. enough for encouraging me to get up and do this. Thanks doll. A million times. Currently, at around 66 minutes in, West Brom is up 1-0 against Stoke City. Boing Boing Baggies! May your football club do well this weekend. Unless you’re a Stoke fan. And then you have to lose. Sorry. Them’s the breaks. All right. I need a shower and a nap. « Do. Not. Seek. The. Treasure. Congrats and junk. Also, HAPPY BIRTHDAY MEEEE! Wait. Me on my 5k or Dave on surviving another year? Either. Both. It’s your website, so you decide.